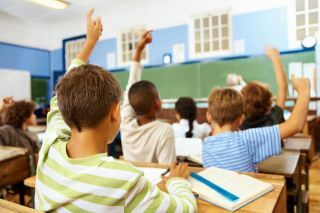 Louisiana’s East Baton Rouge Parish Schools (EBR) today launched a new STEM initiative in partnership with Discovery Education. Discovery Education will support EBR’s educators with digital content and professional learning that aims to help them develop a culture of STEM teaching and learning at Westdale Heights Academic Magnet School and Park Elementary School. This school year, educators in the two schools participating in this initiative will begin integrating Discovery Education’s STEM Connect into classroom activities. A web-based, interdisciplinary K-8 supplemental resource built on a 4Cs STEM skills framework, STEM Connect helps students develop creative, critical thinking, communication, and collaboration skills. Educators in Westdale Heights Academic Magnet School and Park Elementary School will also use Discovery Education’s Science Techbook. Each Science Techbook includes standards-aligned content such as video, audio, text, interactives with hands-on activities, and virtual labs that help educators differentiate instruction. Additional student features include bilingual text-to-speech and leveled reading tools, and note-taking and highlighting capabilities. Educators at both schools will also participate in the STEM Leader Corps capacity building model, which provides robust professional development, job-embedded coaching, and administrative leadership.